Hope you all are having a great day! I'm currently on my third cup of coffee...the time change always gets me! Anyways, this outfit is perfect for church, brunch, date nights, etc. 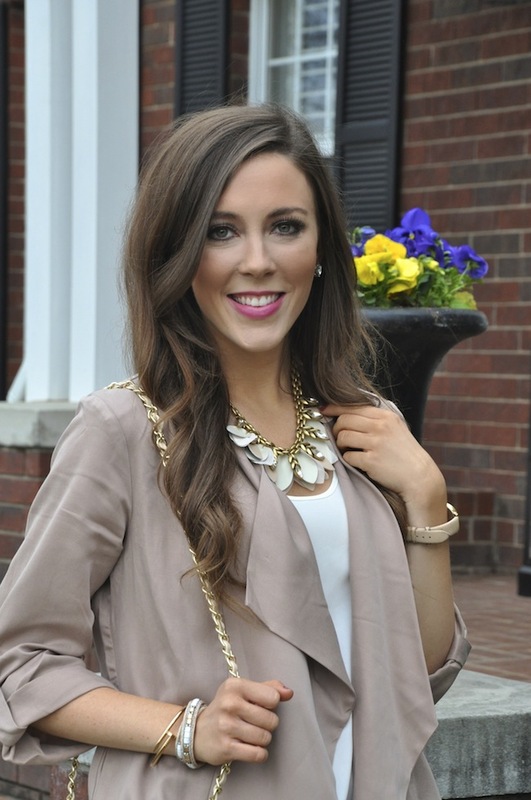 The jacket is so chic and so versatile! I got it a week ago and have already worn it 3 times! Oops! :) And it's such a pretty spring color! Also, tassel heels are SO in style for spring and summer! And this pair comes in 3 colors for only $32! Another great deal is this cute cross body purse! It's such a great color and goes with absolutely everything! And it's only $30! Hollaaaaa. Target for the win, am I right? !